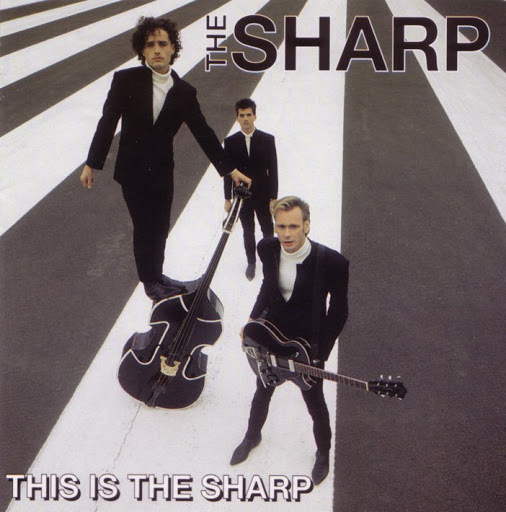 Song of the day: The Sharp – "Scratch My Back"
Song of the day: The Sharp – "Talking Sly"
If you don’t mind me saying so, that song’s a ripper*. The Sharp were The Complete Package – they had both The Look (a pure black-and-white colour scheme with their clothes and musical instruments) and The Sound (short, catchy songs that were well played and with no fancy production tricks). They also had plenty of tracks just as good as “Talking Sly” (remind me to play you some of them some other time). And all of a sudden they appeared to be everywhere all at once. They saturated the Australian airwaves, and it seemed as if they were on every radio station and every television entertainment program in the country – simultaneously. I’m pleased to say that audiences were gobsmacked at this unassuming trio as they played their highly catchy, high-energy songs without any elaborate production. There was no fussin’ about with effects pedals, racks of amplifiers, teams of hangers-on, temperamental singers, or hair stylists. It was just the three of them. They simply turned up with very little equipment, plugged in, and played their songs. This all happened in 1993. Lots of singles, lots more performances, and people all over the country responding with a big “Wow!”. Unfortunately, by the end of the year The Sharp had disappeared just as quickly as they had appeared, never to be heard of again. Weird. Even after all these years, the fickleness of the music industry is something I still find surprising. You are currently browsing the archives for the Sharp category.